Every now and then, I get an immense cake craving. Since the broken foot has left me quite home bound, I wallow in self pity and crave something sweet really often. I have a major thing for brightly colored or pretty looking desserts. Feast your eyes, my lovelies! 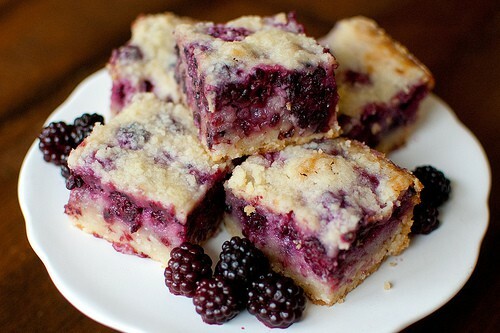 Hmmm June this looks absolutely yummy. I like your blog! I support you and follow you mow (via google). Hope you follow back!? Thx for your comment and following my blog. Followed back! So pretty! YUMMM, now we're starving! I literally want it all :-) The first cake looks so heavenly. 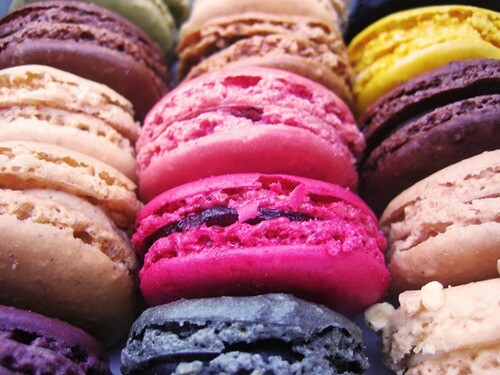 this is so unfair, as I am nowhere near a place to find such lovely treats haha :( everything looks so yummy! 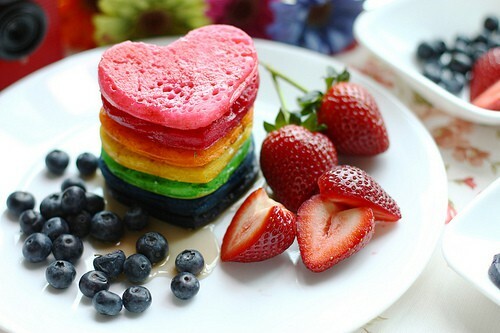 Yummm the colorful foods look so good! This all looks delicious! 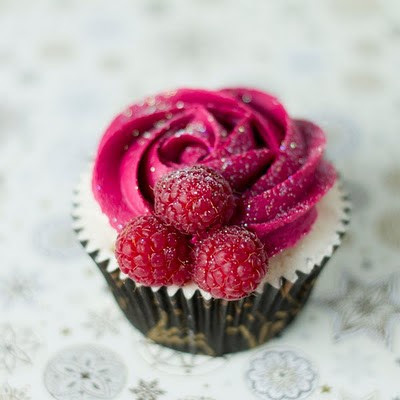 I m following you now, so please follow back:-) M.
aaahhh these treats look soooooo good!! 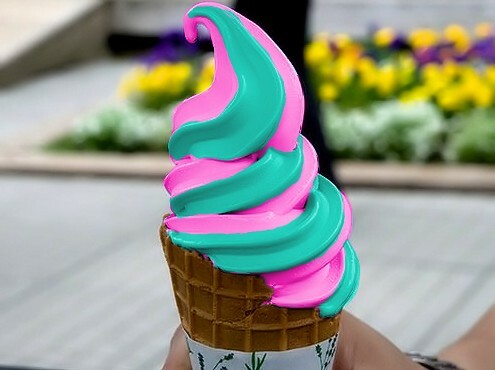 That ice cream cone is amazingly pretty. That's so cool that you have a video game blog. Thanks for visiting my site! I love the first picture. That is the lovely life! OHMYGOD. 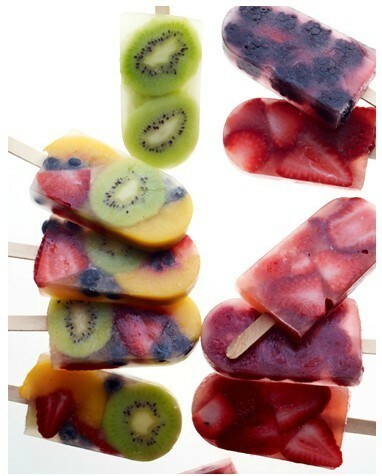 Fruit-sicles. 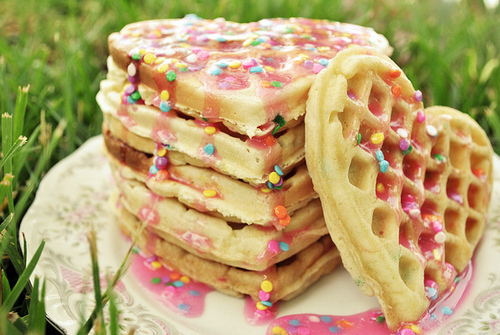 AND WAFFLES WITH SPRINKLES. This is heaven at 1:13 in the afternoon, and I don't even care if it's "breakfast food." It looks wonderful. I follow you via bloglovin, super lovely blog!